Platform lift installers in Essex with an unrivalled reputation for going the extra mile and exceeding expectations. We specialise in all kinds of dynamic, innovative and supremely capable external wheelchair lifts for Essex businesses and domestic properties alike. Whether looking to improve accessibility at home or ensure your business meets the requirements of the DDA (Disability Discrimination Act) while complying with Part ‘M’ of the Building Regulations, you can count on the innovation and customer support of the Tower Lifts team. By focusing on 100% bespoke solutions for all types of buildings, we can provide you with superior external platform lifts of unbeatable quality and value for money. Contact a member of the Tower Lifts team today for more information, or to arrange an obligation-free quotation. Our wheelchair platform lifts can be designed and installed to suit the purposes of any building across the board. 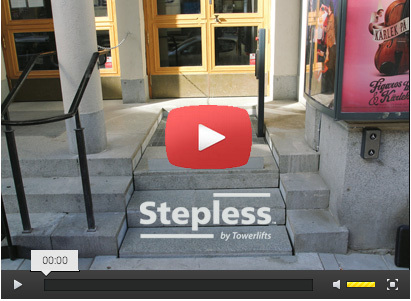 Our stepless platform lifts have become particularly popular as of late, offering a uniquely discreet and incredibly capable alternative to the usual ramps and elevation systems. We install lifts that cater to not only the requirements of the building and its users, but also its aesthetic. From commercial and industrial lifts designed to assist hundreds of people on a daily basis to the more discreet devices required on a more periodic basis, we’ll help you explore the various options available to you. By taking into account the various unique attributes of your building and your requirements, we can provide you with a fully personalised design and installation package accordingly. If unsure as to which represents the best option for you, our team will be happy to answer any of your questions or address any of your concerns. If you require External Wheelchair lifts for Essex, we have a team of experts experienced in working throughout Chelmsford, Colchester, Saffron Walden, Braintree, Clacton-on-Sea, Southend-on-sea, Harlow, Harwich and throughout the rest of Essex! Since going into business more than 15 years ago, we’ve remained committed to innovation and dynamic service provision for every client we work with. Our goal is not to provide additional machinery as a ‘bolt on’ for your building, but the kind of wheelchair platform lift that integrates seamlessly with its surroundings. By combining cutting-edge technology with complete commitment to value for money, Tower Lifts can guarantee you and your business an unbeatable service package. Regardless of how challenging your requirements may be, we’ll make it happen with a fully tailored solution to suit your building. Powerful, reliable and capable of performing in all conditions, our external wheelchair lifts for Essex business and domestic clients set a new standard for the industry. Our commitment to bespoke solutions enables us to operate a dynamic pricing strategy, working hard to deliver superior results for the lowest possible prices. 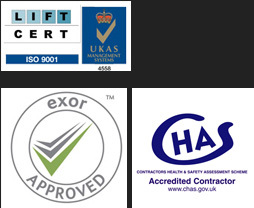 To provide you with an accurate and reliable quotation, we’ll first need to carry out a full inspection of the building and determine the type of lift best suited to the job. To learn more about any of our products or services, the Tower Lifts customer support team is standing by to take your call.